a) Thoughtful. Touring is thirsty work. c) Annoying, because airports and liquids and such. Would you enjoy another sour cream apple pie in Fort Collins, Colorado, on October 21st? I’m the person who made one oofor you at the Boulder event. I’ll bring a uke to The Last Bookstore. Tuned and ready to rock. As such. Thanks to you I have had “we are all some way or another going to Reseda someday to die” stuck in my head. The song is not looking so great in light of #metoo but every few years it earworms me because I dunno, someone mentions songs with names of cities in them, and then that one line repeated will not go away until I listen to the entire song, and I am listening to Los Angeles. I am listening. I am listening. 1. OGH was once a rock journalist of some sort, so it probably wouldn’t be C&W, and probably a 60s-80s hit (because hey, getting, um, rich in years and experience). 2. It would be suboptimal at best to post a city anyone had already posted, so I’m bemused about the forty Winslow AZ submissions, and similar quantities for other more-famous cities. 3. And, speaking of that, OGH having a puckish streak, it probably would not be a famous city but rather one conjured up primarily by the (unspecified) hit song. My sentimental favourite would have been Benson, Arizona, but sadly that remains only a cult hit, not a popular one. TANJ! Trivium: When CBS greenlighted the 1960s anthology TV series ‘Route 66’ to capitalise on enthusiasm for the hit Bobby Troup song, the studio was so ridiculously cheap that it was unwilling to licence the song as theme music, and instead commissioned a perfectly forgettable bit of instrumental dreck by Nelson Riddle — which unaccountably nonetheless made the Billboard top 30 before dropping out of sight. Fortunately, there is a Circle K right nearby Poisoned Pen in Scottsdale, so I usually make sure John gets a fresh Coke Zero when he arrives. I should double check if PP is getting some signed copies. I almost put Kingman, but saw someone else had, so I went for Sausalito. Congrats Shatle! At #2 where you say The Collapsing Empire you mean The Consuming Fire. Also here in Australia copies of the UK edition arrived yesterday. Adjusting for time zones and hemispheres and so on that’s about mid next summer in US time I think. I pre-ordered a signed copy back in the summer from Sub Press and am now impatiently awaiting the shipping notification – this one has been on my “I can’t wait” list for a very long time now. I won’t be able to make it to any of your tour stops this time, unfortunately, but you came to our community on your last tour and I know you’ll be back again at some point. As a somewhat related question, will Jay and Mary’s Book Center be hosting a book-ordering marathon again during this holiday season? My younger sib loved The Collapsing Empire as much as I did, and I would love to order a signed copy of The Consuming Fire as their holiday gift this year. Safe travels on tour, sir – wash your hands frequently, drink plenty of fluids, and try to get a decent amount of sleep if you can. That’s a gruesome-looking travel schedule, and I would like to see you survive it. I was going to submit Winslow, AZ, but 500 had already commented and I thought it pointless at that point. Enjoy your book tour. I was considering guessing Benson, Arizona, from the theme song in Dark Star. I know it wasn’t a hit song, or a hit movie, but they both ought to have been. I guess I will have to take my chances. On another topic entirely, but wanted to say this somewhere, thank you very much for your recentish mention of Mary Robinette Kowal’s Lady Astronaut series. I devoured them, and then got her whole regency series from the library too. I love her work, and her skill with accurately portraying usually-marginalized people. If I had the money right now, I’d buy all her books. I also tend to skip over the Big Idea posts, as they’re often rather long and I’m here for your voice, not the voice of anyone else, so I’m glad you mentioned them in one of your regular posts. Unfortunately, I can’t make the tour this time around. I do recommend that people show up—you are a delight to see in person. HOWEVER, I did pre-order the book from Avid (the Athens, GA visit). I look forward to lots of profanity and clever dialogue. Hey, I got the song right…just picked the wrong city (Barstow). So close. Enjoy the tour. 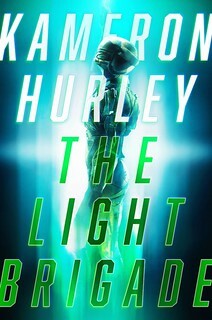 I’ve already finished it, since the UK paperbacks got shipped on Monday. When I mentioned this in a tone of some surprise to the staff at Waterstones, they seemed confused and commented that “paperbacks aren’t usually embargoed”, which is… interesting. But whatever, it’s their problem. A cool Big Twist (that *maybe* could have stood some more foreshadowing, but I get the narrative reason for not having any) and an *extremely* satisfying denouement. Something that came to mind when there was an explanation of how the title of “Emperox” came about though: why no non-binary characters? No trans characters of any kind, in fact, as far as I can tell. 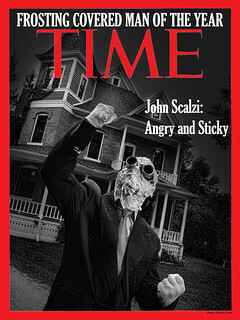 Aarrgh, Scalzi! Just once you need to be in Seattle when I’m not halfway across the continent! I got the song right – yay me! – but the city wrong. Not bad, considering how many places satisfied the stated requirements. I am bummed that you won’t be coming to the Boston area, but will be happy to buy the book anyway! Hope the tour is awesome. I sometimes buy hardcovers, but lately, my strong preference is for e-books. If I buy a hardcover, it only to have, since I can’t hold them up for long any more. I am a persistent pre-orderer.. 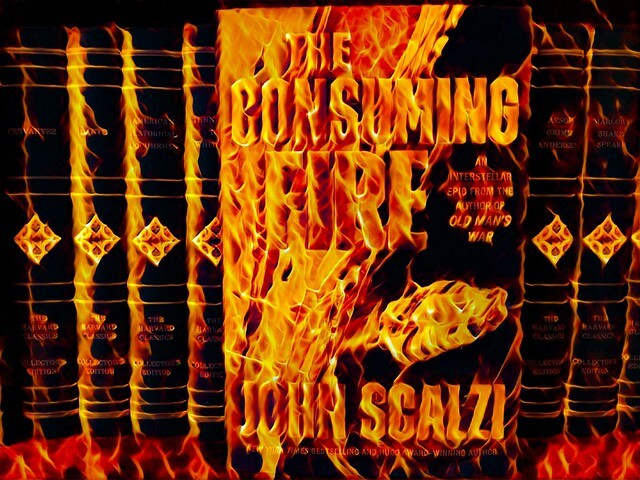 I have had The Consuming Fire on pre-order since February. I’m in France the first week in November and in 2019 I’ll be in London, Budapest, Aviles, Spain, and Dublin.